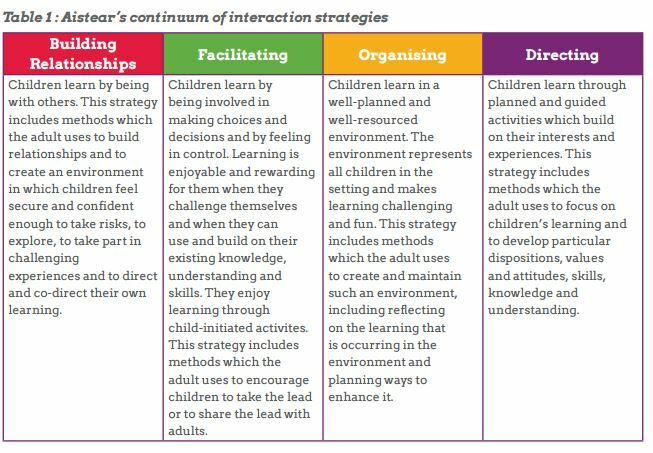 Nurturing and Extending Interactions is one of the pillars in the Aistear Síolta Practice Guide. 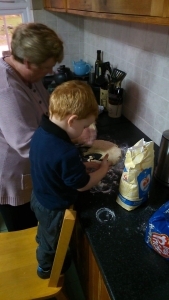 Involving children, even the very young in normal day to day routines such as baking and cooking, provides opportunity for developing and extending interactions. 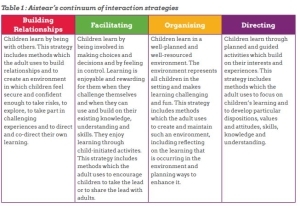 Build basic skills. You can help your child hone basic math skills by doing something as simple as counting eggs or pouring water into a measuring cup. You can ask what comes first, second, and third or count together as you spoon dough onto a cookie sheet. When you read a recipe together, you’re introducing new words to your child’s vocabulary and promoting literacy. 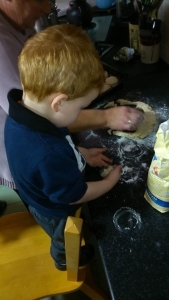 Following steps in the recipe can work on listening skills. Encourage an adventurous palate. Preschoolers are notoriously picky eaters, and bringing them into the kitchen to cook can help get them to open up to new tastes. When your 3-year-old daughter plays chef she might sample dishes she wouldn’t try if you just served them to her. So encourage kids to taste new ingredients you’re working with and talk about what they like and how healthy foods make a body grow.